Wearable computers "took a huge step forward" in 2013 and shipments of smartwatches and related devices will grow by 78 per cent a year until 2018, according to IDC said. The number of such devices should top 19 million by the end of 2014, triple the number from last year, IDC said. In 2018, that number should swell to almost 112 million. IDC for the first time issued a wearables forecast that divides the market into three categories ranging from low-cost, simple devices to higher-cost products with expanded capabilities. The three categories are dubbed complex accessories, smart accessories and smart wearables. IDC's category of complex accessories include fitness bands worn on the wrist such as Nike+, FuelBand and Fitbit. Some of these devices cost as little as $50, but more typically, $100. They will be the most popular of all three categories through 2018. They operate partially when independent of a smartphone or other device, but fully when connected -- usually via Bluetooth -- to a smartphone, tablet, PC or other IP-capable device. The middle segment, smart accessories, will slowly gain momentum and surpass shipments of complex accessories by 2018, IDC said. These devices also depend on connections to IP-capable hardware like smartphones, but allow users to add third-party apps to boost features and functions. Examples include the Samsung Galaxy Gear smartwatch, which works with some Galaxy smartphones, and originally cost $300, as well as the Sony SmartWatch and Pebble smartwatch. "Their value proposition has yet to be completely clarified," IDC said in a statement. The third and most complex category -- smart wearables such as Google Glass -- is only in early stages. It won't be until 2016 that shipments of smart wearables top 2 million units shipped, IDC said. Smart wearables will be almost fully independent of other devices except for access to the Internet. "To succeed, smart wearable vendors must convince users to shift to a new user experience while offering them a robust selection of third-party applications," IDC said. 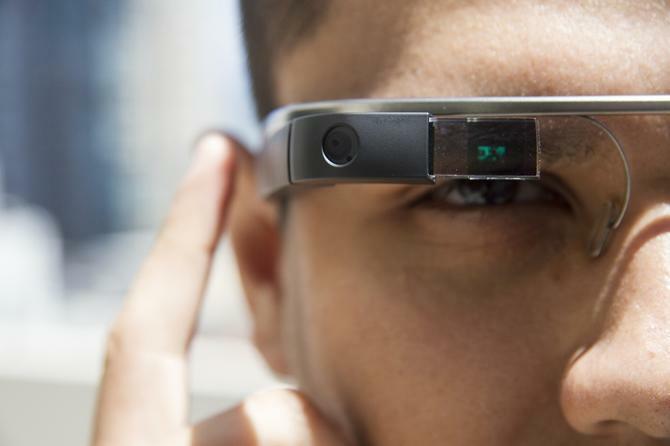 "It is not a question of if, but when wearables as a whole will extend into the enterprise." Some companies are already experimenting with uses for Google Glass, which is now being sold only to early adopters in a special program at a cost of $1,500 -- a price that's expected to drop once Glass ships. Google is holding to a planned 2014 release, but some analysts are doubtful. Even at more than $1,000, a wearable headset like Google Glass would cost much less than many ruggedized headsets sold for industry use that can cost in the multiple thousands of dollars. IDC said that Apple should enter the wearable technology market in 2015, although some reports expect a product to be announced later this year. Rumors have focused on a smartwatch, which some are calling the iWatch. As for a possible Google Watch, IDC called that "still just a rumor."